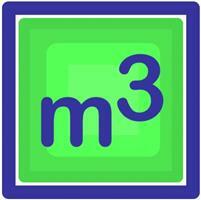 M3 Groundworks Ltd - Builder based in Garforth, West Yorkshire. We are a Leeds based contractor that began trading in 2015, we cover all aspects of groundworks and hard landscaping for both domestic and commercial clients. Matt and Martin have a combined experience of 40 years in the construction industry and decided to bring their knowledge and expertise together to provide a professional and friendly service through M3 Groundworks Ltd. If you would like to get in touch with any queries for an upcoming project we offer free, no obligation quotes.